The progress achieved inside the robotic field, the artificial intelligence, the machine learning or even the deep learning concerning big data, forces us to believe that the employment market is going to be affected in the upcoming years. The monotonous and operational tasks belonging to the administrative sector seem to be the most threatened by this. There are countless studies about the impact of this 4th industrial revolution and the automation of the analysis tasks, the information and data input or even the administration management and the general treatment of the clients’ requests. But are robots really going to be proficient enough to replace humans in the short term? Are they the greatest threat of the contemporary history against employment and the salary focused society as we know it nowadays? In other words, are we all going to be replaced by machines in the next decade? With so many pessimistic -even catastrophic- forecasts, the resistance of our models to a socio-economic reorganization can prevent the best possible outcomes from occurring. When the sewing machines became mechanized in the XVIII century, the workers’ movements of textile artisans encouraged them to destroy the machines to save their jobs. Later, we see that these machines have been able to evolve, and some new jobs have arisen to supply their shortages. Even better, the work done by machines instead of humans is more alienating that the new tasks that arose. The mechanization would therefore offer a better life perspective, better working conditions for employees, but it involves a temporary crisis as well while we find new models of production and organization that will allow everybody to participate in the value proposal. “All predictions about the future of work will be wrong, including this one.” Paul Marks, journalist specializing in new technologies. According to Paul Marks, every prediction is susceptible to being contradicted by History: as predictions are based on current assumptions, they cannot integrate random and unexpected factors that will emerge and lead our organizational models. The first one is the human factor, then resiliency and imaginary. However, if we take into consideration the current state of employment and the potential applications of the ongoing automation, we could see the disappearance of a huge proportion of existing jobs. We can only be sure about the fact that we will have to learn how to work in a different way and reorganize our current tasks, bearing in mind the artificial intelligence (AI). For instance, we will have less need for very specialized profiles as the machines will analyze enormous quantities of information, crossing it and recognizing patterns and correlations much faster than thousands of people. For this reason, we should focus on cognitive and transversal tasks, taking advantage of the benefit of the computing power of machines, then reinterpreting the results by using our creativity and imagination, to create a real added value. The new jobs will probably be less alienating and more intellectually challenging, but it is true that all the current profiles are far from being ready for this change. However, the evolution of the ambitions and values of the incoming generations, specially the Millennials, seems to indicate that these new generations are already seeking these kinds of jobs. If this is how it works, the challenge will lie in the transition of the intermediate generations, before they reach the age of retirement, as well as the people with slight cognitive capacities who will be at risk of not being able to find « simple » jobs, more repetitive and less challenging, intellectually speaking. 3-The automation of the digital era has already started. The answers are difficult to predict. The automation will directly affect the jobs that were secure until now just because we thought humans were the only ones who could carry out those tasks. This is particularly the case in sectors such as telemarketing, phone assistance, administrative roles in banks and services companies, or even for those jobs related to the transport of passengers and merchandise, such as the underground of the RATP. For instance Nordea, a Swedish bank whose CEO Casper von Koskull announced that 6,000 positions are going to disappear in the next 5 years due to automation.More than 2,500 positions have already disappeared, making the bank increase its profits as well as defining a new standard for the financial sector. 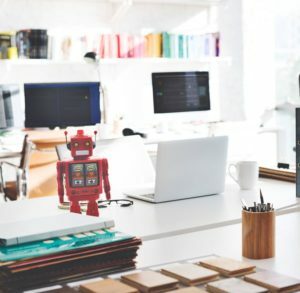 “5 Common Robotic Process Automation Objections and How to Handle Them”, Cigen one of the first dedicated Robotic Process Automation companies based in Australia. We are already observing an increasing trend of automotive repetitive tasks that in the past were only done by office employees. Throughout our projects in BICG, we already observe the change in the ways of working: the assurance sectors, for example, use for their implementation projects bots that can channel the incoming calls or give simple answers to enquiries. Some new and totally digital banks are proud of saying that all their interactions with clients are done through these kinds of robots and algorithms, working on the basis of the machine learning and improving thanks to their interactions with humans. 4-The sectors that we do not forecast and the new opportunities. The digital revolution keeps on absorbing more and more sectors of activity. The « uberization » that threatens the jobs that have been historically protected shows that the automation of certain activities can transform great fractions of their economy and social organization. The medical sector that now has systems able to solve online queries and understand a clinical picture, as well as the physical research and the legal sector, are additional examples of deep mutations caused by the application of digital solutions that help to automate the different activities. 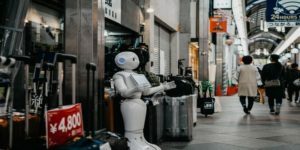 Even commerce and human resources are sectors exposed to these changes, as showed in the latest developments of the Tella platform and its chatbots, focused on the relations with clients and employees. These digital bots use the machine learning and the available resources to improve the quality of their interactions, and soon they will be able to perform tasks such as modifying the information of a certain client profile. If these kinds of repetitive tasks are performed by machines, the employees could focus on activities that create real value, starting from the supervision, control and interpretation of the information generated by the automatic systems. Therefore, employees should concentrate on tasks that the AI will not be able to perform. We will then focus on creative, collaborative and stimulant activities*. 5-The robot-human alliance, an essential cultural evolution. The companies and their people must start a cultural evolution that allows them to rethink their activities and take benefit from the automation in process. Furthermore, there are already new jobs that have arisen thanks to automation. For instance, the cybersecurity has become a key factor in this emergence of the « digital employees ». The security of the digital systems mobilizes each day and the sector requests qualified profiles. These functions also suffer an increased amount of pressure by the strategical challenges depending on them. The automation supports this development by providing tools that allow us to foresee potential issues. So, it is precisely the lack of qualified people that accelerates the development of solutions based on the AI. In the Amazon storages or the automobile factories, the human employees will always have a key role to perform. The case of a fully automated emplacement launched by Tesla showed that efficiency decreases when the robots take control of all activities. 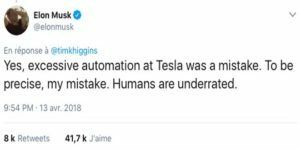 Therefore, hundreds of employees were hired to re-train the machines, proving that the excessive automation does not work, at least for the moment. The Japanese culture could teach us about the toyotism or the « lean management » to embrace and align this digital transition towards the automation. The Japanese culture integrates the presence of robots in a better way than the occidental societies. The acceptance of machines as elements that help us to reach our common objectives is a key first stage that both organizations and members must go through. The methods based on participation that put people in the core of the company culture, in the core of the relation and communication models and in the internal processes and tasks to be performed, are more important than ever before. In its European offices, BICG proposes a methodology that allows the evolution of the ways of working and creates a company experience that integrates the strategical objectives of the companies. The reason is that the members of an organization are the more suitable to propose solutions that may be necessary to improve and define the future society. 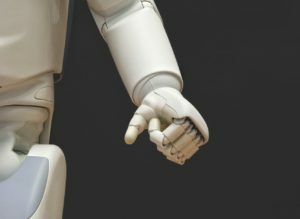 The machine needs humans, and the requirements linked to security or even to the absence of mistakes generate hybrid solutions, where humans work with robots and this leads to better results. It is good news that we cannot disregard the human being completely. The repetitive tasks will be performed by machines and the humans will supervise them. Therefore, it is a real progress. But the question of reshaping technical profiles is a real challenge. This forces us to face education and training with a brand-new perspective. To prepare the future generations, but also to accompany the current employees through this evolution. The range of transformations is so vast that it implies the need for a social project where we study the way we understand work in our social and economic lives. Should we split our work hours and set a part-time? Should we stablish a universal income? Or rearrange the benefits from automation in salaries and pensions? All these hints proposed by the thinkers of yesterday and today do not seem to provide us with the answers that we need. 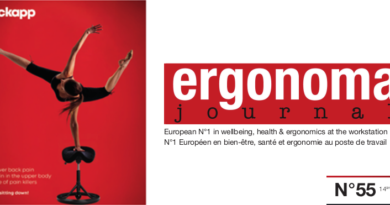 Let´s imagine that the human resilience and creativity surprises us one more time. Let´s prepare ourselves and be ready for it when the moment comes.